Indisputably the most effective general of the Wars of the Roses, Edward IV died in his bed, undefeated in battle. Yet Edward has not achieved the martial reputation of other warrior kings such as Henry V – perhaps because he fought battles against his own people in a civil war. It has also been suggested that he lacked the personal discipline expected of a truly great commander. But, as David Santiuste shows in this perceptive and highly readable study, Edward was a formidable military leader whose strengths and subtlety have not been fully recognized. 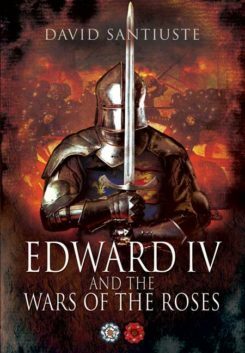 This reassessment of Edward’s military role, and of the Wars of the Roses in which he played such a vital part, gives a fascinating insight into Edward the man as well as the politics and the fighting. Based on contemporary sources and the latest scholarly research, Edward IV and the Wars of the Roses brings to life an extraordinary period of English history.